Upholstery Cleaning Latham. We are a leading upholstery cleaning services provider in Latham. Call @ 1300 362 217 for more details. Needless to say, with time our upholstery gets dirty and unhygienic with dust, pollens, germs, food crumbs, stains and blemishes that cannot be avoided and can cause allergies and eye problems. This is the reason perhaps why frequent upholstery cleaning is the need of the hour. However, if you keep busy and don’t have time, My Couch Cleaners is here to help you out. Even if you have adequate time to take care of your upholstery by yourself, believe us, professionals do it better! My Couch Cleaners is an efficient and top notch upholstery cleaning company in Latham. We take care of all your upholstery ranging from couches, carpets to sofas and give them a new look as if recently purchased. Why Is Regular Upholstery Cleaning Important? Upholstery should not be overlooked if you want to keep your home clean and presentable. Your upholstery is used more than any other item at your home and offices. Thus, you need special care of it when carrying out thorough cleaning. You have significantly invested a huge amount on your furnishings and hence hiring an upholstery service is a better option than buying a new one for your home. Dirt, grease, and stains can make your furnishings look old and weird. It can become a breeding ground for bacteria and other harmful microorganisms. This is where our upholstery cleaning services come to your rescue and provide you with clean furnishings. Running out a wet cloth would not tackle stubborn stains from your sofas and couches. The expert upholstery cleaners from My Couch Cleaners will help you in maintaining clean upholstery. Clean upholstery helps in fetching clean and fresh air. It makes your home free from allergies, asthma and other respiratory diseases. Upholstery cleaning makes your fabric and furnishings look new and free of infestations. Proper cleaning prevents mold growth if you are living in an area of high humidity. Upholstery cleaning services in Latham prolong the life of your upholstery. Initially, we start with the inspection of the fabric and its type. We test various dyes in order to determine color fastness for secure cleaning of your couches and sofas. We use steam and microfiber upholstery process for cleaning your expensive carpets and couches. 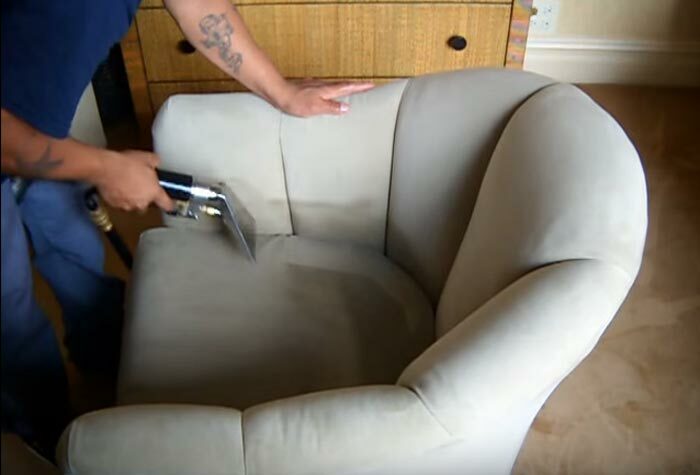 Steam cleaning is most useful for your delicate upholstery, fabric, and furniture. Besides, removing dust and dirt also removes the allergens and dangerous bacteria. We avoid using too much water and steam the area at a pressure of 160 psi with a temperature of 185 degree Celsius. For microfiber upholstery, we use vacuums and specialized solvents for cleaning. We use a pre-conditioner for maximum extraction of the soil and to ensure effectiveness. The soil that has been suspended is then extracted. This is followed by rinsing of the fabric leaving it fresh and clean. Additionally, we monitor the fabric continuously to ensure best quality workmanship. Our powerful air movers decrease the drying time for sooner use of your couches and sofas. And finally, we do a complete inspection for the best possible result. Among so many upholstery cleaning service providers, My Couch Cleaners provides its esteemed clients the excellent upholstery cleaning services with irresistible guarantee. Our expertise, experience, and resourcefulness help us to stand firm and makes you comfortable in investing your money in our upholstery cleaning services. We guarantee quality service that is paramount to us by our upholstery cleaning experts. What you get from us is guaranteed cleaning of upholstery with a promise to achieve your grade-simple! To get the best couch cleaning services come to My Couch Cleaners. We believe in treating the customers with respect and faith. Our upholstery cleaning company provides excellent services for your beloved piece of furniture and fabric. We deal in repurposing, recovering and repairing your items of antique, modern furniture, beds, sofa etc. with utmost care. We provide upholstery of couches, sofa, leather sofas, through variable procedures like microfiber upholstery and steam cleaning with very low cost. Our cleaning procedures are safe and will extend the life of your couches and sofas and are healthy for your kids and pets too. Our service is strong enough so as to clean the deepest stains and gentle for your entire family. My Couch Cleaners helps you in steam cleaning, carpet, and couch cleaning, cleaning of vomit and urine from couches, cleaning of sofas, leather sofas, stain removal, water damage restoration and scotch guard protection. We also offer steam cleaning of sofas and microfiber upholstery. We provide eco-friendly cleaning services. My Couch Cleaners provide services that are flexible. Further, we provide complete satisfaction to our customers. My Couch Cleaners have lowest prices for upholstery cleaning in Melbourne. Additionally, our cleaners deliver quality, customization, and a thorough communication. We regard upholstery an art, not an investment. My Couch Cleaners is a licensed cleaner. Moreover, we guarantee best services. So, come to My Couch Cleaners and get the best Upholstery Cleaning Latham. Come today!